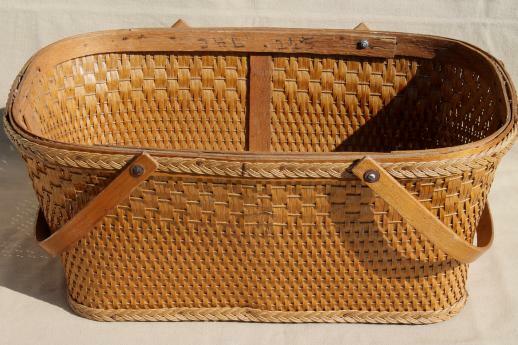 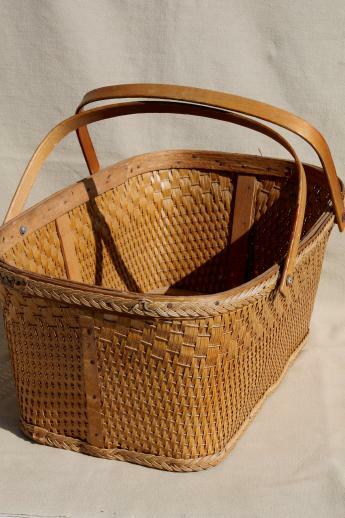 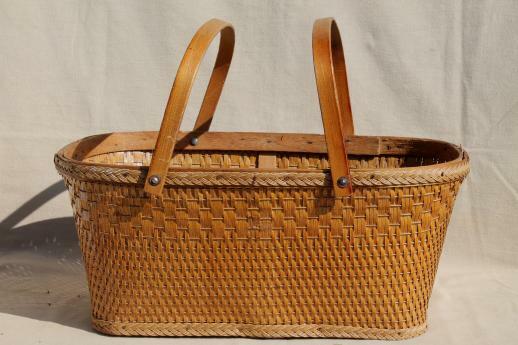 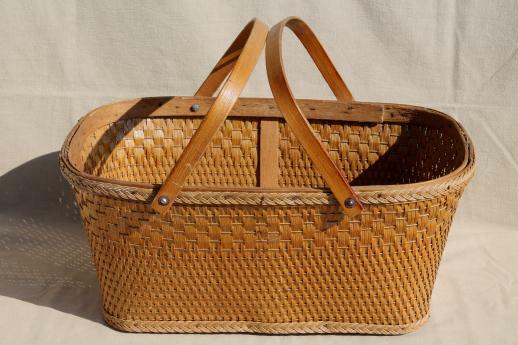 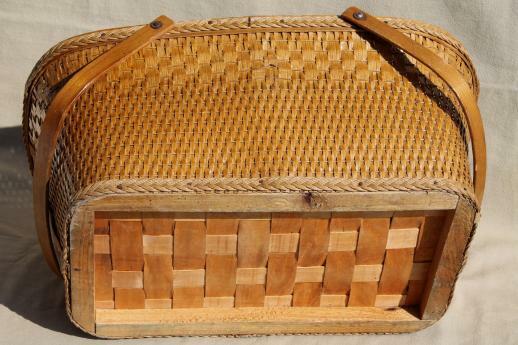 1940s or early 50s vintage picnic basket, open at the top - very handy as a market basket! 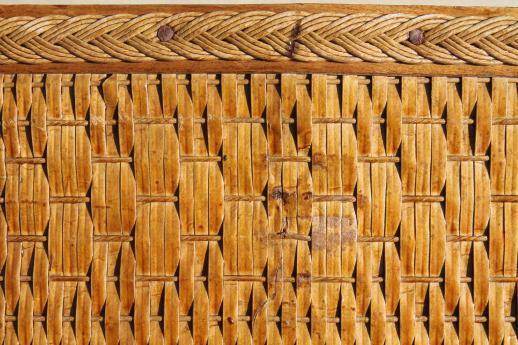 Makes a nice piece for storage or display, too. 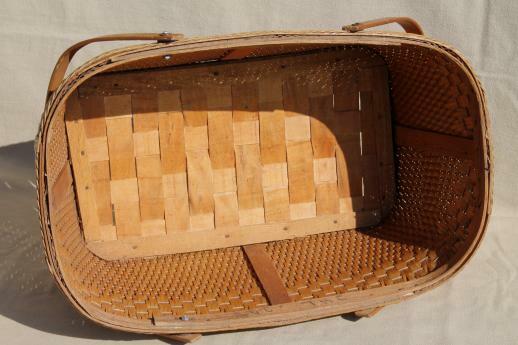 Size is 22" x 13" x 8 1/2" deep. 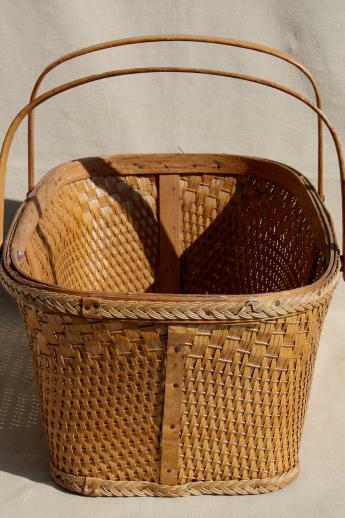 The handles are wood, sturdy and in very good condition. 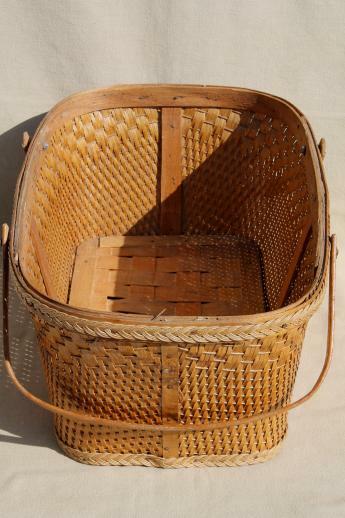 The basket is nice and clean overall.